FCA US LLC has been extremely pleased with the public excitement over the introduction of the 2015 Dodge Challenger and Charger SRT Hellcat models. The tremendous public response has driven demand for these vehicles to unprecedented levels. 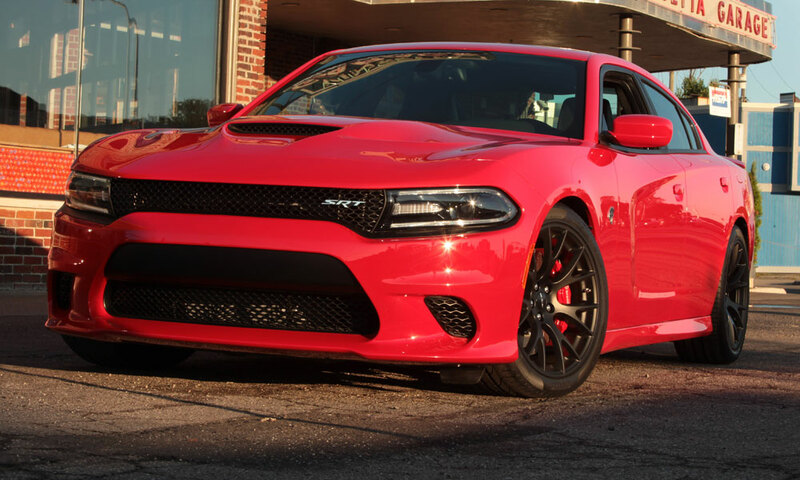 Overall, our independently owned and operated Dodge dealers have been doing a great job managing Hellcat orders. 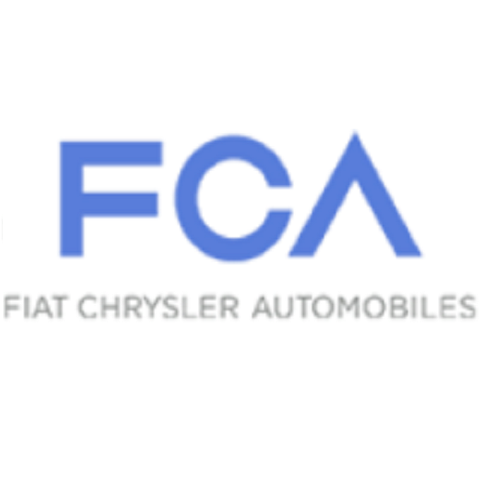 However, a small number of dealers are engaging in a practice that is causing a customer relations issue for FCA US LLC and all of its dealers. Specifically, this handful of dealers appears to have accepted large numbers of SRT Hellcat orders without regard to available supply and without advising their customers that orders may not be filled, if at all, for many months or longer. We believe such a practice may constitute a breach of the Dealer’s Sales and Service Agreement with FCA US LLC and a violation of other applicable laws. Accordingly, we wanted our customers to hear directly from us how we are allocating Hellcat vehicles and we hope that you will bear with us as we, in conjunction with our supply base, continue to balance the supply and overwhelming demand. 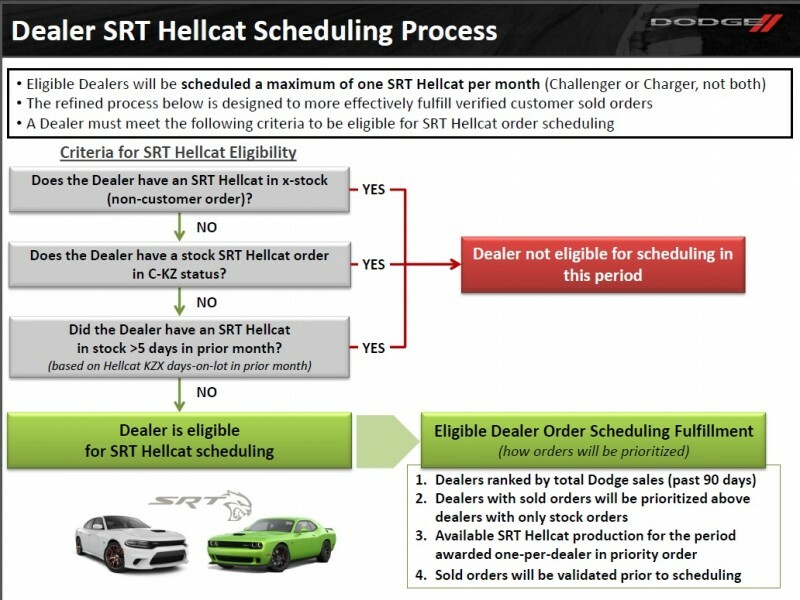 Under our current allocation formula, eligible Dodge dealers will receive Hellcat scheduling based on their total Dodge sales in the previous 90 days with verified customer sold orders being prioritized according to FCA’s standard allocation formula, practices and procedures for the applicable vehicles. The following scheduling process chart below (which is subject to modification based on supply and demand changes, further explains). While most of our dealers understand the scheduling process and do their best to make sure that their customers have transparency into the ordering and fulfillment process, an isolated number of dealers have taken a far greater number of orders than they could reasonably expect to fulfill under the above allocation system. In a situation such as this, where demand is so high, the dealer allocation formula can then become an easy target for a disappointed or misinformed, yet, enthusiastic new car customer. Worse yet, it can be an even greater opportunity for unscrupulous businesses or individuals to take advantage of customers. Is the dealer an authorized Dodge dealer? How many Hellcat orders does the authorized dealer have pending and where would I be on the list? Based on the dealer’s prior 90 day Dodge sales and previous Hellcat scheduling, when can I expect to receive my Hellcat order? Does the authorized dealer require a deposit for a Hellcat order? Is the deposit refundable and at what point in time? Please consult your state law governing the vehicle orders and the return of deposits. For customers who suspect they may have placed an order that is unlikely to be fulfilled, please contact your dealer and discuss options available to you as production and availability will vary. 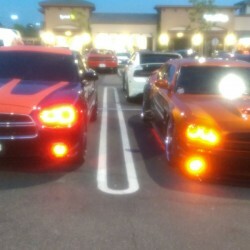 To find the list of authorized Dodge dealers closest to you, please visit www.dodge.com or call 855-778-8326. We will continue to monitor the situation and we thank you for your dedication to the Dodge brand.